Folks, I got fired up this morning by a piece that strikes at the heart of my thinking over the last year. John Fitzpatrick, the director of the Cornell Lab of Ornithology, has the most brilliant, heart wrenching call to action I've read in some time (he's reflecting on the centennial of Martha's death, the last passenger pigeon of billions we hunted to extinction). And when he calls the loss of species a moral issue, well, you know I was hooked. "The State of the Birds report identifies more than two dozen “common birds in steep decline” — species that are showing early warning signals of distress, having recently lost more than half of their global populations. Mostly, these species are barometers for greater environmental issues. The eastern meadowlark and northern bobwhite are fading from rural America right along with the family farm and its smaller-scale agricultural practices of pasturing cows and keeping grass buffers. Common nighthawks, those fantastic evening acrobats that flash through our ball-field lights to catch bugs on summer nights, are disappearing alongside native pollinators like bees. Many experts suspect that continent-scale declines in the prey of insect-eating birds have resulted from agricultural and homeowner insecticide use. I suggest that the broader conservation argument transcends cost efficiencies and scientific analyses and should focus instead on the moral questions posed by Martha. Most of us wish we could see those storied passenger pigeon flocks for ourselves, so why aren’t we doing everything possible to keep some of our most common wild things from meeting the same fate? Don’t our great-grandchildren have the right, as part of their American heritage, to experience choruses of meadowlarks singing “spring is here!” from treetops and fence posts?" Species conservation is a moral and ethical issue. When Fitzpatrick points out insect decline as related to bird decline, this should be a no brainer call to action for gardeners. We see the insect loss, and we see the interaction of birds in our local environment. Our gardens ARE places of protest. The landscapes we have direct control over are collective refuges. Yes, we need to do something about huge swaths of monocultures, poisoned by chemical overuse, that are eradicating the last "wild" places (if they even exist anymore). It is not a stretch at all to call our gardens a place to exercise and discover our moral and ethical imperatives. If you slather your landscape in pesticides, maintain a huge amount of irrigated lawn with multiple applications of commercial fertilizer, run that mower and spew that exhaust, then this all says something about what you think about the world and those who share it with you (human and non human). For those who say our gardens should not be burdened with such "heavy" thinking -- to be a place of ideology and belief -- I say gardens have always been a place of heavy ideology. A quick survey of examples from Victorian, Japanese, Persian, and European formal gardens will scream ideology -- as do naturalistic gardens today. If this kind of thinking doesn't belong in our gardens, where does it? How can we hope to learn or effect change if it doesn't start at home? 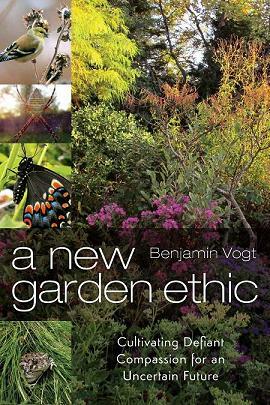 The imperative is to think about how gardens are connected to larger ecosystems, how we are all interconnected, and this calls for a selfless attitude -- which is the antithesis of western culture, and certainly the American ideaology of "don't tread on me, I'm free to do what I want." We also have the happiness myth that expounds the pressure to always appear to be happy and content, and to do (buy) anything to make us happy. But looking at our negative and positive rolls in the environment can make us happy -- knowledge empowers and creates action; whereas denial keeps us trapped in a cycle of stagnation, something corporate spin doctors and government lobbyists love. Go plant a milkweed and get liberated. Trade in the gas mower for a reel mower, or the lawn for a prairie garden. Live connected and fuller and richer. Let your landscape be an ideology that screams freedom for all species today and tomorrow, including this dude below. 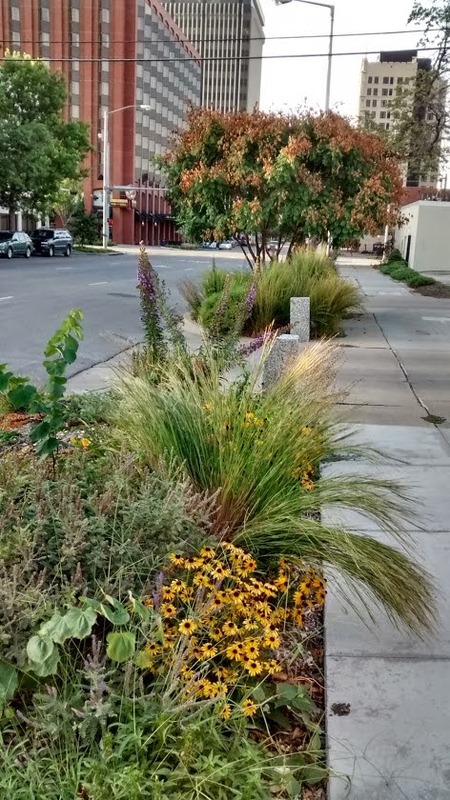 Native Plants in Downtown Lincoln! When your city does something right, one should heap praise on it. Of course, when your city builds a monstrous 1/4 block concrete patio on the corner of P and 13th streets -- with not a plant in site -- you should cry bloody murder. Your garden is a protest. It is a place of defiant compassion. That space is one to help sustain wildlife and ecosystem function while providing an aesthetic response that moves you. For you, beauty isn't petal deep, but goes down into the soil, further down into the aquifer, and back up into the air and for miles around on the backs and legs of insects. You don't have to see soil microbes in action, birds eating seeds, butterflies laying eggs, ants farming aphids -- just knowing it's possible in your garden thrills you, it's like faith, and it frees you to live life more authentically. Your garden is a protest for all the ways in which we deny our life by denying other lives. Go plant some natives. Be defiantly compassionate. I'm pretty excited that my Houzz articles have reached 1 million total views, and 90% of those have happened in the last year since I went weekly. Topics have included the benefits of native plants, why to mitigate lawn and what to replace it with, gardening for bees and butterflies, design risks to take, climate change gardening, being more selfless in the landscape, how to cut down on mulch, drought tolerant shade plants, the benefits of aggressive plants, and tons of plant profiles. Link on over. 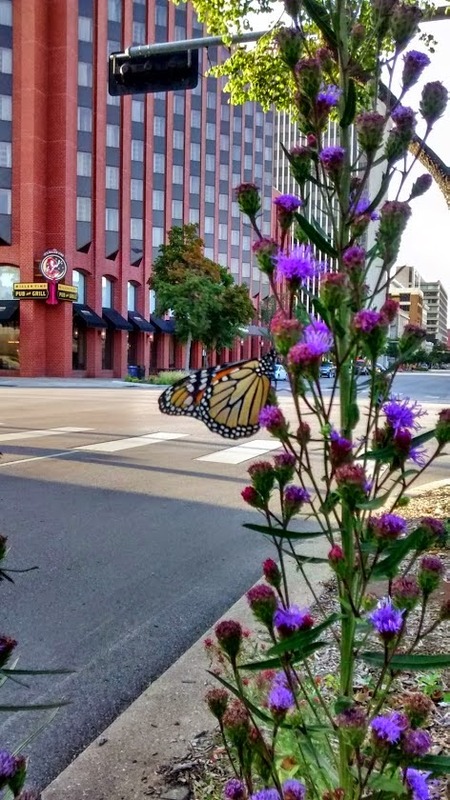 On the home front, I had a rare visitor on my Liatris ligulistylis -- for over 3 hours this queen butterfly (a male) nectared over and over on every Liatris. Their range is typically far south of Nebraska. And I've had a ton of monarchs and swallowtails, also on the above Liatris -- what I'd do without that plant is beyond me. Every day there are at least 4 monarchs, and I'm well on my way to raising nearly 100 just a year after 5. Hold on a second, be right with you. Native plants that are just about done blooming and have been covered in literal clouds of bees of all sizes, flies, wasps, moths, etc -- culver's root, boneset, and short-toothed mountain mint. Just amazing how full these plants have been. The joe pyes are set to take over the job, though, and after that goldenrod and asters. Let's hear it for timely succession gardening! Want to come over and play? Coneflowers look good in any season. 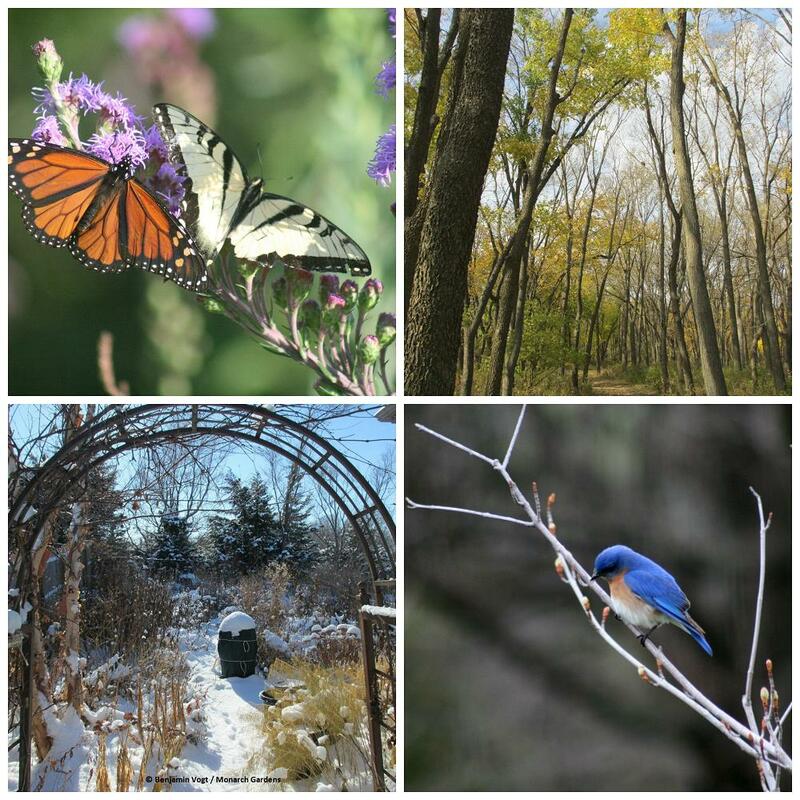 Last month I showed you images around the Pioneers Park Nature Center and prairie. Now I've got three more locations that show various degrees of design intent, from more formal to utilitarian to semi natural. 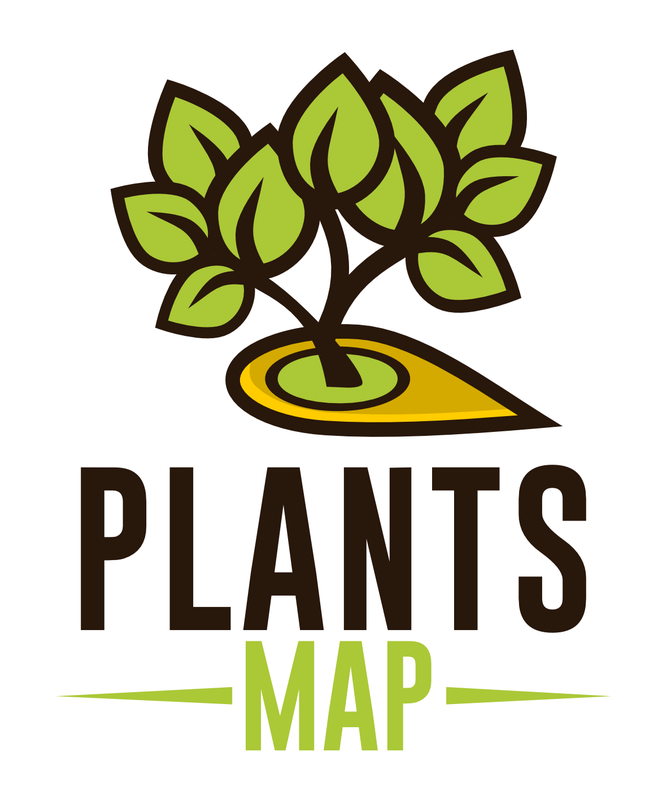 It's hard to find these places around town, so if you know of any private or public gardens featuring a significant percentage of native plants, please contact me. First up is Union Plaza just east of downtown and off of O Street. I've been critical of the park before, and in many ways I still am. However, several groupings of plants are now maturing and it's good to look at them as inspirational examples. 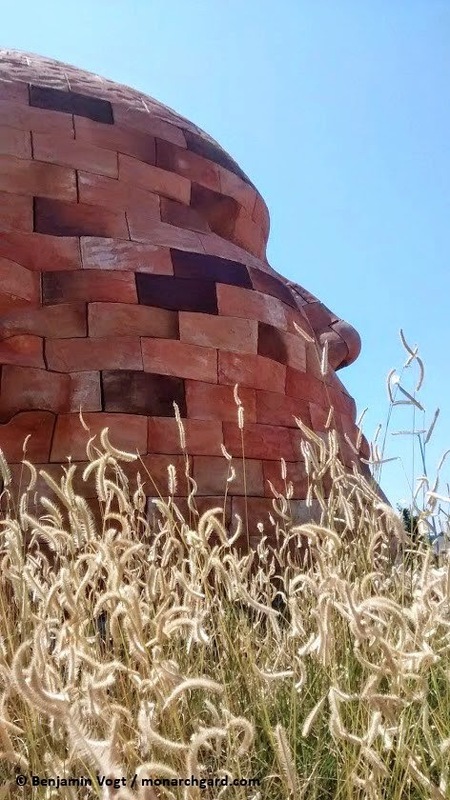 You'll find this mid summer vista on the northeast corner of 21st and Q. 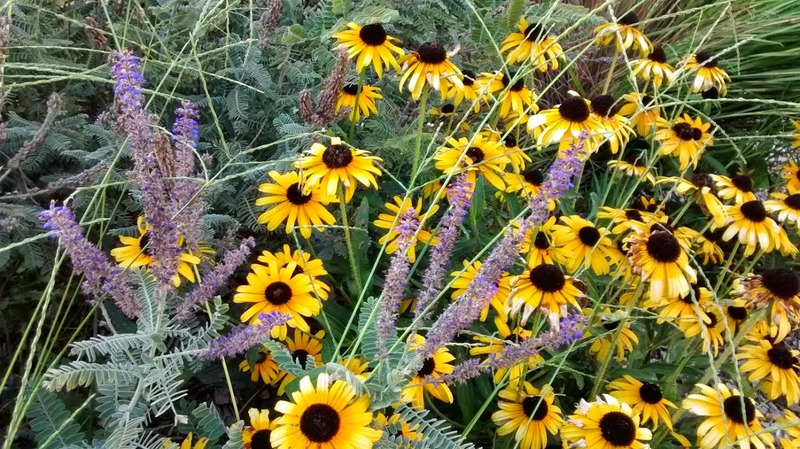 This combo of Rudbeckia and the blue grama cultivar blonde ambition is a standout in the raised planting bed. Northeast of the previous images is a new "meadow" area going in. You can't miss Colossus north of 21st and P.
Wine cup makes a nice ground cover. Ducks in the stream looking for bread crumb handouts. 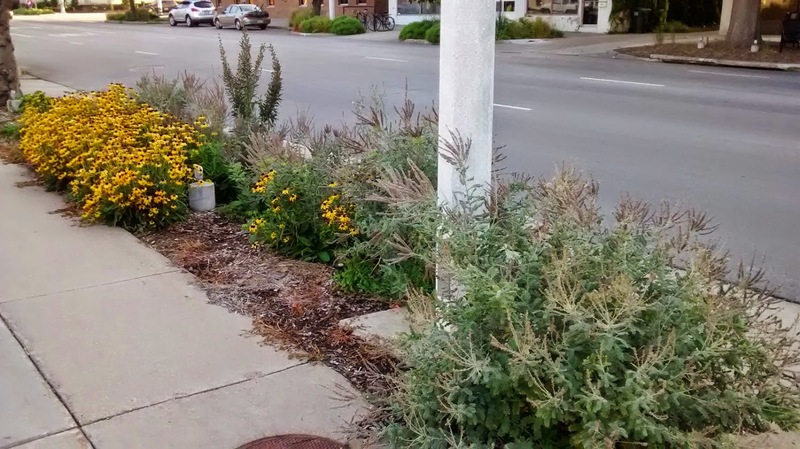 Next up is the rain garden at Fireworks Restaurant at South 84th and Old Cheney Road. 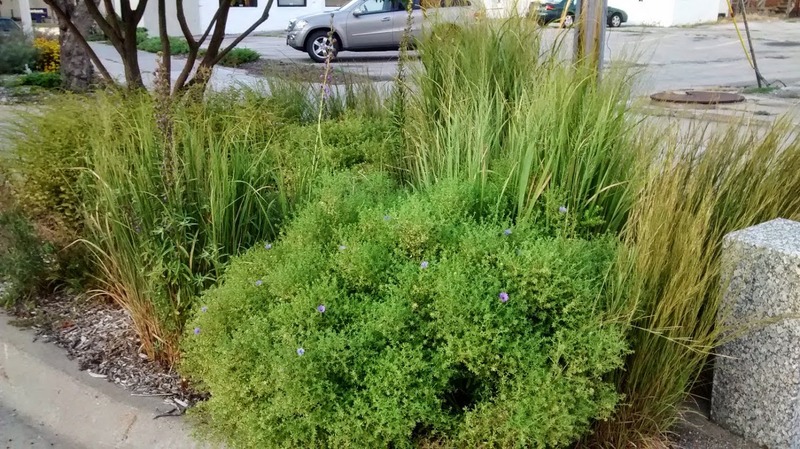 This garden filters runoff from the parking lot and is filled with native grasses, wildflowers, and shrubs. It's a very long space that curves with the adjacent bike trail -- just a very pleasant area. Stop by here in late September into early October for the fall show. Monarda fistulosa and grey-headed coneflowers. Monarda, cones, and joe pye weed. Button bush (Cephalanthus occidentalis) full of insects! Finally, and new to me, is Tyrrell Park at North 67th and Baldwin. I was late for the mid summer flower show, but I still took pics. The entire area serves as a massive rain garden -- and I mean massive. Posted throughout are signs with some cool info on the park, the plants, wildlife, rocks, and why prairie matters. Pretty neat to see. So again, if you know of other areas in or around Lincoln please let me know. 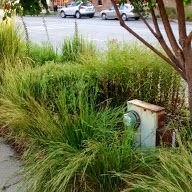 I'd especially like to see more formally design spaces, like homes or businesses, using native plants in many aesthetic ways (i.e. they aren't "weedy"). "Logical thinking alone can only elaborate what it already knows; it is at root tautologous. To make a real scientific discovery requires more than logic or data collection; it requires imagination. As Einstein remarked, “Imagination is more important than knowledge. For knowledge is limited to all we now know and understand, while imagination embraces the entire world and all there ever will be to know and understand.” Imagination reaches beyond what we already know to the new. Every true innovation and original insight will make use of data and logic but simultaneously transcend them. In like manner, every moral insight or judgment will make use of past experience and moral reasoning, but also transcend them. Love is a way of moral knowing that is as reliable as scientific insight? This will aggravate a lot of people. But in a world of black vs. white, science vs. religion, native plants vs. exotic, it's true -- the lines really are blurry, and to find direction one has to hop between them and think from multiple perspectives at once (some call this empathy, some magical thinking). It's hard. Imagination is freedom, and to put it into words creates a statement of belief, which can both be even more liberating as well as restricting. The words may open up new insights for you, but once focused into letters you open yourself up to external perceptions and other people with other imaginings and beliefs. In this way language as we know it fails -- but thank goodness we always have the garden and nature to come back to, to help us fall in love again and remember who we are.